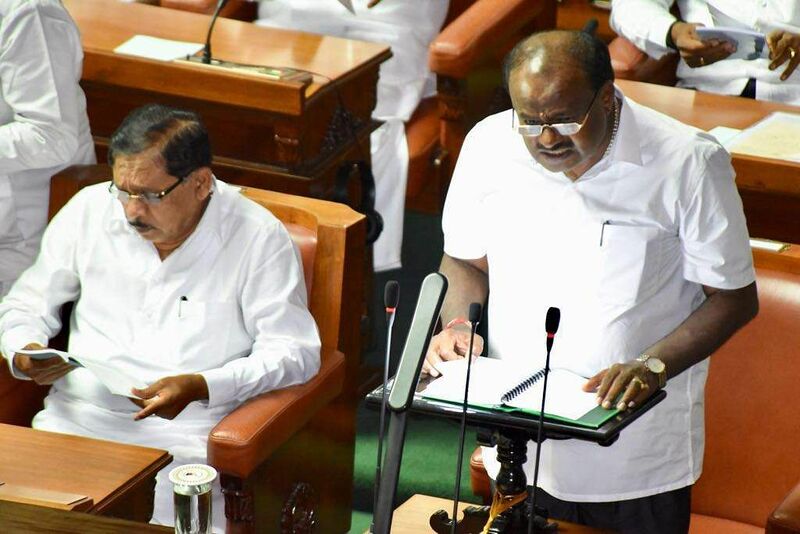 Karnataka Chief Minister H D Kumaraswamy who holds the finance portfolio, on Friday presented the ruling coalition's second budget in the assembly, amid a walkout by the opposition BJP. Among other things for the benefit of the Bengalurean, the budget spoke about the establishment of a large ‘Constitution Museum’ in Bengaluru city to introduce the genesis and importance of our Constitution to the future generations and allocated Rs 20 crore for the same. The museum will be an opportunity for the younger generation to get a feel of the debates in the Constituent Assembly, clarifications and justifications from Ambedkar on every article or section of the Constitution, before it was drafted and the history of Karnataka legislature. The Social Welfare Department has plans to complete the tender process for the project by December this year and make the museum a reality by the end of 2020. The state government has not yet finalised the land for the museum which would come upon a plot of about 40 acres. In 2018, Social Welfare minister Priyank Kharge had said that he was planning to develop it as a National Museum of Constitution and Ambedkar Thoughts. "The common man is not aware of the history of the evolution of our Constitution, the kind of debate that happened in the Constituent Assembly, the objections and suggestions that poured in. Ambedkar, as head of the Constitution Drafting Committee, had provided replies that ran to over 20,000 pages. People who speak about their rights and privileges are unaware of the work that has gone into our Constitution. The museum would recreate and relive the evolution of the Constitution," Kharge told Express in August 2018. The Constitution Museum would not only recreate debates of the Constituent Assembly and present a digital interactive system to provide all the information related to our Constitution to the younger generations in the state but also house a library and a study center for higher academic courses up to PhD. The museum will also showcase the history and evolution of the Karnataka Legislature which originally was a part of the Praja Prathinidhi Parishat, much before India attained Independence. According to the Social Welfare Ministry, the museum would not only be a centre for academic excellence, but it will also be developed into a tourist destination. Karnataka has been known for holding talks based on the Constitution and making attempts to preserve it. Recently in January, they held a two-day national conference organised by the social welfare department called the ‘Conversation of The Constitution’. Protests were held during the event, after the government refused to call it off, despite state mourning announced over the demise of Siddaganga Mutt’s pontiff Shivakumar Swamiji.